Readout Units are microprocessors that display the output data. It can be connected to several geotechnical instruments to record the readings that can either be uploaded to a host computer or printed out on any text printer using the serial interface. Being the world’s leading manufacturers and suppliers of readout units, Encardio-Rite deals with two different robust, accurate, and low-cost readout units. 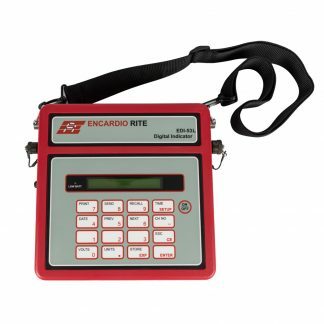 At Encardio, we have a wide variety of Readout Units. 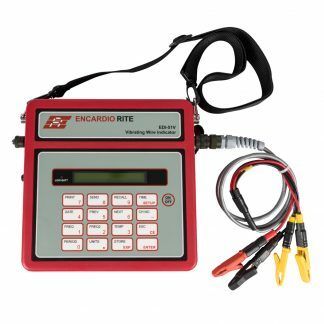 Model EDI-51V Portable Vibrating Wire Readout Unit-Data Logger which can be used with any Encardio-rite vibrating wire sensor. It can store calibration coefficients of maximum 500 sensors. It has the capacity to store either 4500 readings from any one sensor or about 9 sets of readings from all 500 sensors. Each reading is stamped with date and time at which the measurement was taken. The Model EDI-53 Portable Readout Unit-Data Logger comes in Five Variants viz. Model EDI-53L used for load cells, Model EDI-53ELV used for electro level tilt meter, Model EDI-53P used for displacement transducers with 0-2 V full-scale voltage output, Model EDI-53I used for transducers with 4-20 mA direct current output, and Model EDI-53UTM used to read uniaxial tiltmeters. It can store 3600 readings with the date and time from up to 250 sensors.